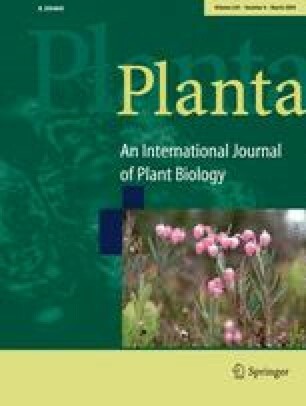 The mechanisms by which many plant growth promoting rhizobacteria (PGPR) affect plants are unknown. We recently isolated a rhizosphere bacterium (Bacillus thuringiensis NEB17), that promotes soybean growth and screened the liquid growth medium in which it grew for plant growth stimulating materials. We have also shown that it produces a bacteriocin (named by us as thuricin-17 and a member of the recently described class IId bacteriocins). Here we show that application of this bacteriocin to leaves (spray) or roots (drench) directly stimulates the growth of both a C3 dicot (soybean) and a C4 monocot (corn). This growth stimulation is similar in nature to that previously seen when plants are treated with Nod factors. Strain NEB17 contains three copies of the gene for thuricin 17 that code for identical amino acid sequences. These two lines of evidence suggest that the dual functions of these proteins may have constrained their evolution. This is the first report of direct plant growth enhancement by a bacteriocin. This work was supported by an NSERC strategic grant, an NSERC Research Network Grant, an NSERC Discovery grant and funding from the SEVE centre, all held by D. Smith.